Fisheries are central to the lives of the people, particularly the rural poor, who live in the lower Mekong countries. Two-thirds of the basin's 60 million people are in some way active in fisheries, which represent about 10% of the GDP of Cambodia and Lao People's Democratic Republic (PDR). There are approximately 1,000 species of fish commonly found in the river, with many more marine vagrants, making it one of the most prolific and diverse faunas in the world (MRC, 2003). Recent estimates of the annual catch from capture fisheries alone exceed 2.5 Mtonnes (Hortle and Bush, 2003), with the delta contributing over 30% of this. 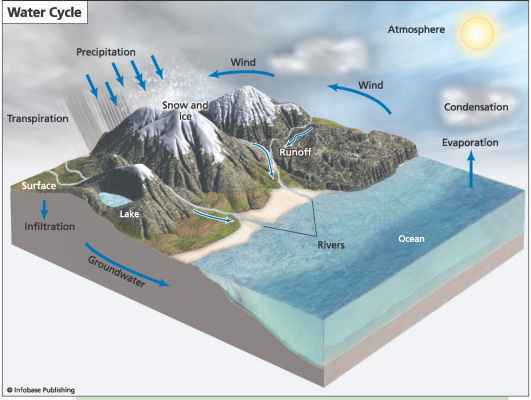 Direct effects of climate will occur due to changing patterns of precipitation, snow melt and rising sea level, which will affect hydrology and water quality. Indirect effects will result from changing vegetation patterns that may alter the food chain and increase soil erosion. It is likely that human impacts on the fisheries (caused by population growth, flood mitigation, increased water abstractions, changes in land use and over-fishing) will be greater than the effects of climate, but the pressures are strongly interrelated. An analysis of the impact of climate change scenarios on the flow of the Mekong (Hoanh et al., 2004) estimated increased maximum monthly flows of 35 to 41 % in the basin and 16 to 19% in the delta (lower value is for years 2010 to 2138 and higher value for years 2070 to 2099, compared with 1961 to 1990 levels). Minimum monthly flows were estimated to decrease by 17 to 24% in the basin and 26 to 29% in the delta. Increased flooding would positively affect fisheries yields, but a reduction in dry season habitat may reduce recruitment of some species. However, planned water-management interventions, primarily dams, are expected to have the opposite effects on hydrology, namely marginally decreasing wet season flows and considerably increasing dry season flows (World Bank, 2004). Models indicate that even a modest sea level rise of 20 cm would cause contour lines of water levels in the Mekong delta to shift 25 km towards the sea during the flood season and salt water to move further upstream (although confined within canals) during the dry season (Wassmann et al., 2004). Inland movement of salt water would significantly alter the species composition of fisheries, but may not be detrimental for overall fisheries yields. Sub-Saharan Africa is one example of an area of the world that is currently highly vulnerable to food insecurity (Vogel, 2005). Drought conditions, flooding and pest outbreaks are some of the current stressors on food security that may be influenced by future climate change. Current response options and overall development initiatives related to agriculture, fisheries and forestry may be constrained by health status, lack of information and ineffective institutional structures, with potentially negative consequences for future adaptations to periods of heightened climate stress (see Chapter 9) (Reid and Vogel, 2006).